Rounding is a critical function in a healthcare environment and it occurs across multiple departments and multiple disciplines. From EVS, to quality, to patient satisfaction, these separate rounds share in a common objective: to Increase HCAHPS. Let’s take a deeper dive into how some of these rounds can help increase your organization’s HCAHPS scores. 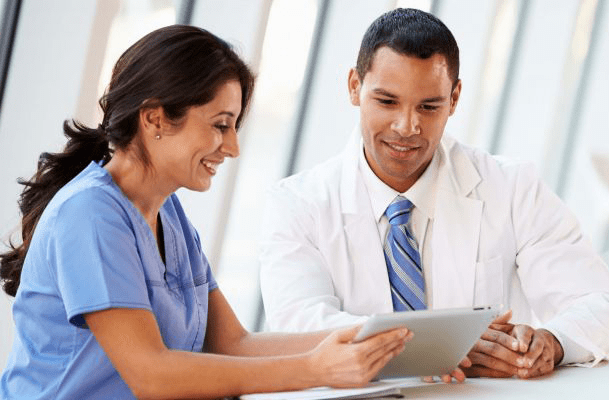 Patient Discharge Rounds: During discharge rounds, a healthcare network answers patient questions, ensures discharge instructions are understood and followed, and identifies any remaining issues. These indicate to a patient that the hospital cares about them and the quality of care, all of which increases HCAHPS. Quality Rounds: All healthcare organizations are working towards a culture of safety, and rounding identifies deficiencies so that corrective action can be taken quickly ensuring patient safety is at the forefront. A safe patient is a happy patient. Leadership Rounds: Using the data collected from nurse rounds, leaders can easily determine areas where nurses and team leaders are struggling, take corrective action for improvement, communicate quality measures to the team, and provide the resources and training necessary to promote learning and continuous improvement. Happy nurses mean happy patients. Environment of Care Rounds: Patients and visitors all want a hospital with a pleasant overall appearance, including clean hallways, clean rooms, and organized floors. The hospital environment that provides a welcoming atmosphere increases HCAHPS. Understanding how all the individual rounding pieces play a part in HCAHPS scores will help your healthcare organization increase their focus on areas that need process improvement. For more information on how SentactRounding can help improve HCAHPS scores, click here.